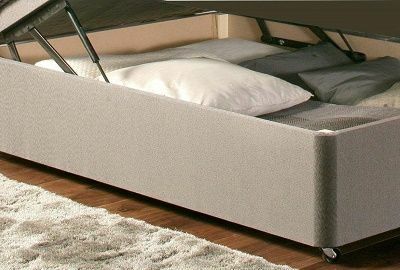 The Respa 3' Ottoman Divan Base is a bottom opening ottoman base providing optimum strength and support to your mattress. With a wide range of upholstery finishes available, the Respa Single Ottoman Base provides more storage than a base with drawers. The Respa 3' Ottoman Divan Base provides Excellent Support for all Types of Mattresses, including heavy pocket spring mattresses.